Australia have completed the decimation of New Zealand. The final rites have been performed, and Michael Clarke has lifted the Cup. There are tears as Clarke bids adieu to the shorter format of the game and cheers as Mitchell Starc picks up the coveted Man-of-the-Tournament award. But in a corner, there stands a solitary figure. Short, but built like a rock, he stands stock-still – except for the rhythmic movement of his jaw as he chews a piece of gum that has long gone stale. Brendon McCullum watches the proceedings with a smile on his face, which is as inscrutable as always. He knows he was but a step away from the threshold of capturing a World Cup and that he has let himself down. He knows the better team has won, no question about it. McCullum shifts his weight slightly as he watches the World Cup dream in the hands of his neighbours, wondering if he will have another crack at it. McCullum’s first universal impact was perhaps in the third match of the Chappell-Hadlee series, when he scored a timed 86 not out to help New Zealand whitewash Australia. The young, heavily tattooed McCullum instantly became the toast of the nation and was being given a second look. With the advent of the T20 World Cup, the Kiwis realised that they needed an explosive batsman at the top who could dictate terms. McCullum was perfect for the job. He was promoted six places up the order, and he had the perfect opportunity to make his mark. A couple of good scores in the series that followed earned him a place in the IPL, with Kolkata Knight Riders pouching him in the auction. 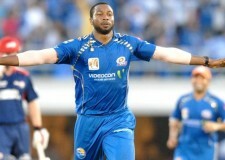 He set the tone for the IPL straight away, with a blinding 158 not out in the veryfirst match. McCullum had arrived on the world stage, and he was being viewed as an exciting batsman who could play T20s without fear. But that was not what McCullum wanted. He didn’t want to be known as the guy who could come in and smack the opposition around. He wanted to be the guy who could make a difference to the team at the highest level – Test matches. Though McCullum tried to keep his aggression in check, it seemed like he did not have what it took to play Tests for the Kiwis. His place was in danger after a series of disappointing performances. 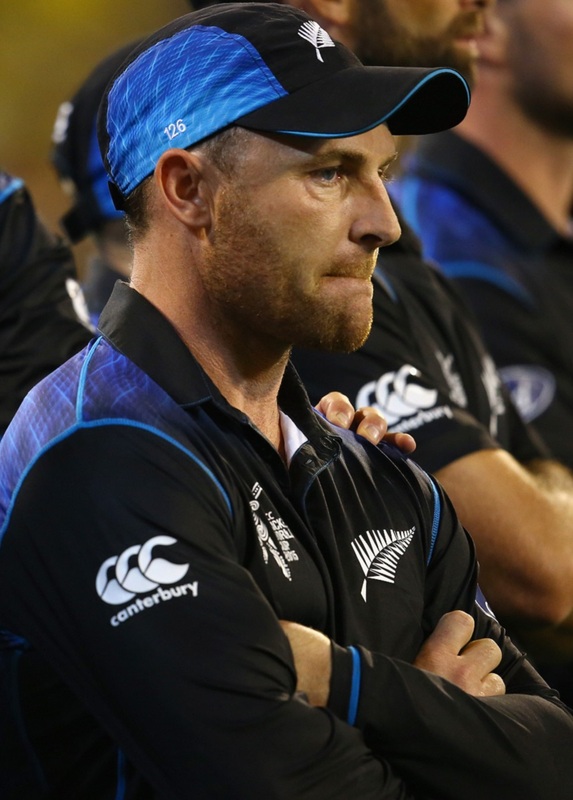 McCullum had to make a choice – keeping or batting? He decided to quit keeping in Tests to focus more on his batting. It proved to be a good decision, as he began to contribute more to the team. McCullum still holds the record for the highest individual score by a New Zealand wicket-keeper in the longer format of the game. Though his performance in Tests was not up to the mark, he continued to shine in other formats. His scored a blitzkrieg 116* in a T20 against Australia. repeatedly ramping Shaun Tait over deep fine leg for six. Tait had tried to upset McCullum’s rhythm by bowling full outside off, but McCullum countered it with a brilliant bit of innovating, thus inventing the “McScoop”. Later in 2010, he became the first player to score 1000 T20I runs and established himself as a competent T20 player. As McCullum continued to shine, his critics slowly started to disappear. Whispers of a captain in the making had started to float across the cricket community. McCullum was in demand. On December 7, 2012, McCullum was appointed as the full-time captain of the Kiwi side in all formats. His calmness in pressure situations led to comparisons to MS Dhoni, and his aggressive captaincy was being lauded worldwide. It ended an eventful year for McCullum as he had already scored his second T20 century, making him the only man to do so. McCullum’s rise had been slow in the beginning, but it was exponential now. He got off to a poor start, with the Black Caps being bowled out for 45. His batting in Test matches increased in quality as he used his natural talent to curb his aggressive style of play. He began to spend more time at the crease, making sure that his brash play didn’t affect the team. It seemed that McCullum had finally arrived at the Test match level, but he still had to prove himself with a big score against a quality opposition. McCullum had to show that he was the right man to lead New Zealand by backing up his captaincy with a match-winning innings. His teammates insisted that it was right around the corner, but it never seemed to come. Inevitably, whispers of McCullum being suffocated by captaincy began to arise. 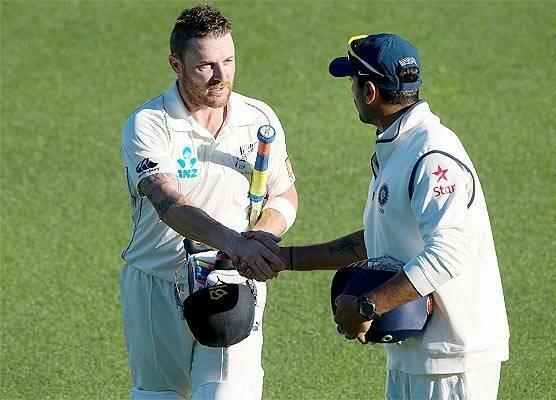 New Zealand captain Brendon McCullum is congratulated by India’s Murali Vijay at the end of the third day’s play in the second Test at the Basin Reserve in Wellington. When the times get tough, the tough get going. India were looking at the end to a disastrous run of Test matches away from home as they reduced New Zealand to 94-5, with the Kiwis still needing 156 to avoid the follow-on. McCullum and ‘keeper Brad Watling were at the crease. A wicket would have meant curtains for New Zealand. If ever they wanted their captain to make a difference, it was now. McCullum took guard with the entire nation’s expectations weighing him down. What happened for another two days is the stuff of legend. Rivaling VVS Laxman and Rahul Dravid in 2001, McCullum and Watling stuck around for an entire day with a partnership of 352. McCullum stayed at the crease for a mind-boggling 775 minutes, scoring his maiden triple century as New Zealand held on for a draw. The skipper had made it count. McCullum had arrived at the big stage, and there was no looking back. It would be the start of a golden run of form. Late in the year, Australian batsmen Phil Hughes died tragically on the cricket field after being hit by a bouncer. Wearing his initials on his armband, McCullum played like a man possessed. He took the Pakistani bowlers to the cleaners as he scored 202, peppering the stands with as many as ten sixes. His celebrations showed no emotion, just a glance at the sky and a tap on the initials he wore. He had helped the ICC all year over the match-fixing scandal, which resulted in him being selected as New Zealander of the Year. On the Boxing Day Test of 2014, McCullum spanked 195 in a single day, just missing his fourth 200+ score in the year. He scored a thousand runs in the calendar year and smacked 33 sixes – a record. He finished the year with a triple and two double centuries – only the third person to do so after Don Bradman and Michael Clarke. McCullum was awarded with a key to Wellington at the start of 2015, making him the third “honorary citizen” after Lord of the Rings team members Sir Peter Jackson and Sir Richard Taylor to receive such a honour. As the days sped by, it was time for New Zealand to co-host the Cricket World Cup. The Kiwis were a rising force in ODI cricket, and many put them as front-runners for the Cup. With former Kiwi captain Martin Crowe being diagnosed with terminal cancer, it only emphasized their resolve. McCullum faced the first ball of the World Cup and sent it for a boundary. It was a sign of things to come as New Zealand crushed Sri Lanka. England had the bad luck to meet McCullum in prime form as he scored 77 off 25 balls against them as New Zealand almost finished the match before the halfway mark. 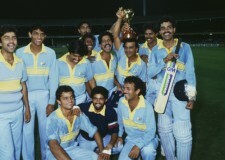 The Kiwis then hosted Australia, which was being touted as the match to watch out for in the tournament. Australia were bowled out for 151, courtesy a brilliant bowling display from the home team. McCullum once again gave them a dream start, scoring 50 off just 24 balls. McCullum was leading from the front – an unstoppable force. He defended the first two balls to get a look at the pitch. He gauged the bounce and the pace of the deck. He was ready. The next ball from Dale Steyn went high over extra cover for a six. Philander bowled from the other end and disappeared for 14 off the last three balls. Steyn came back and bowled a good five deliveries, but the last one was dispatched for a four by McCullum. AB De Villiers recognised the warning signs and brought in Morne Morkel. There was to be no respite as he was taken for 14 more. New Zealand were 46/0 in 4 overs. One more big over and they had a great chance of chasing the total down. Steyn was given another go to try and knock McCullum over. De Villiers hoped that the pressure would get the better of McCullum. What he didn’t know was that McCullum thrives under pressure. Steyn’s first ball disappeared ten rows back over mid-on as McCullum charged down the track, and the next flew over mid-off for a boundary. Steyn tried to shorten his length and cramp McCullum for room. Mistake. Ten more runs off the next two balls over fine-leg. Steyn pitched the next one up, hoping to induce a false shot. McCullum stayed where he was and caressed him over covers. Steyn had been taken for 25 off the over. New Zealand were 71/0 in 5 overs. Game on. New Zealand would go on to win a thriller by 4 wickets with 1 ball remaining. New Zealand faced Australia at the MCG on the big day. Only four members of the New Zealand cricket team had played a World Cup before. None of them had played a final. Brendon McCullum’s open letter to the Indian fans encouraging them to support New Zealand had made him a fan favourite already. New Zealand was playing the final, supported by almost every nation except Australia. McCullum should have felt the pressure. There should have been sweaty palms, distracted eyes and stammers during the pre-match press conference. There were none. McCullum won the toss, chose to bat and walked straight down. He was a free man now. He had no burden to bear. He had become the first man to take New Zealand to the final of a World Cup. He had to give New Zealand the best start possible. He charged down at Mitchell Starc and the ball missed his outside edge. He charged again, with the ball missing the inside edge. He took guard again and stood where he was. Mitchell Starc bowled a peach of a yorker. McCullum was beaten for length, pace and swing. His bat came down too late as off stump was knocked back. Eleven Australians ran the length of the ground, celebrating the fall of the opposition captain. A single New Zealander walked back to the pavilion, his World Cup over. At the end of the day, the better team won the Cup. Critics would have said that McCullum could have played Starc out. He could have tried to wait out a few overs until the ball stopped swinging. But that is not McCullum’s style. He would never have it that way. McCullum lived and died by the sword. Nobody blamed him, because that’s who he was. McCullum has been New Zealand’s shining beacon. He is the bridge between the new crop of players and the old hands. He is the glue that keeps them together. New Zealand’s rise has been meteoric, and McCullum has been the chief engineer. He would have few regrets on the night of the final, but he would have loved to get his hands on the trophy. He would have liked to win it for Martin Crowe. Not for himself, mind you. McCullum stayed back to thank the fans and the ground staff for their support. He stayed back to sign autographs and banners. He is the epitome of the phrase ‘Nice guys finish last’. But McCullum doesn’t care. As long as there is a target to be chased and a ball to be smacked out of the stadium, McCullum will keep playing. He knows his job as New Zealand captain is not over, for there are miles to go before he sleeps. He smiles at the camera and walks out. If you look closely, you’ll see a tattoo on his arm. It displays his cap numbers for New Zealand in ODIs, Tests and T20s. McCullum is the captain who literally wears his team on his sleeve, and he will always step up for them. That is what makes him tick.